Why did they leave? How did they get the courage to leave all they had known for a place they had never been? Was it a braver thing to stay, or was it braver to go? Would I have helped? These are questions that we discuss in our Beloved Community Dialogues as we tell stories of those Freedom Seekers who left and the Abolitionists who helped them. Many of the issues resonate in our lives today. Dr. Martin Luther King said: “The Beloved Community is a global vision in which all people can share the wealth of the earth through economic and social justice.” “The end is reconciliation, the end is redemption, the end is the creation of the Beloved Community. It is this type of spirit and this type of love that can transform opposers into friends. 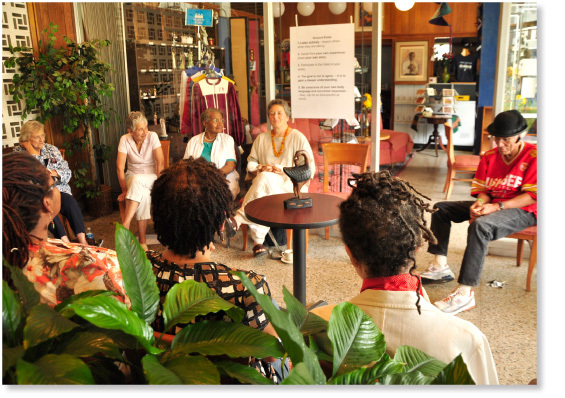 Contact Restore Cleveland Hope to conduct a Beloved Community Dialogue for your class, organization, club, neighborhood, or book group.